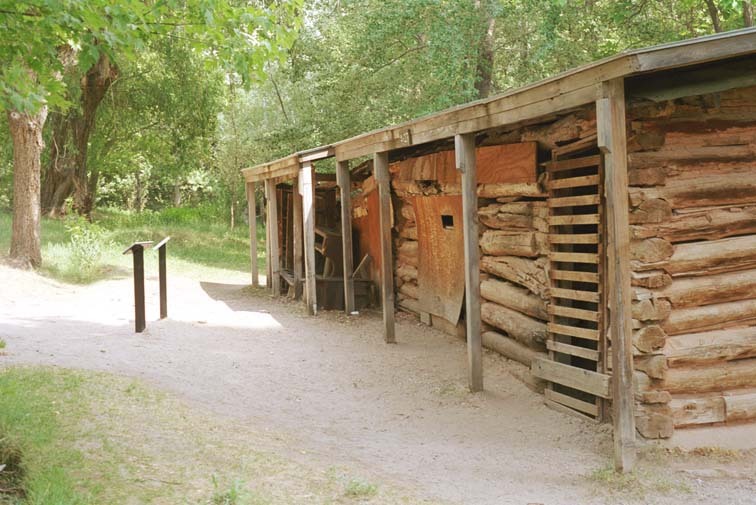 The Josie Bassett Morris cabin is at the end of the gravel road running east from the western entrance to Dinosaur National Monument. The cabin is in a grove of trees. The came at the end of our day at Dinosaur National Monument and we had already been climbing around in 95-degree heat, so we didn't spend much time here. We did get out of the car and look at the remains of the cabin. This is the front of the cabin. 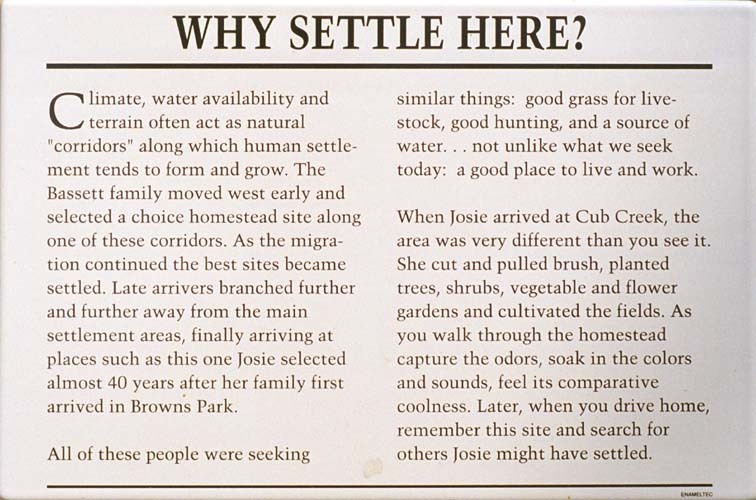 This plaque describes Josie and her life. Another plaque at the site. 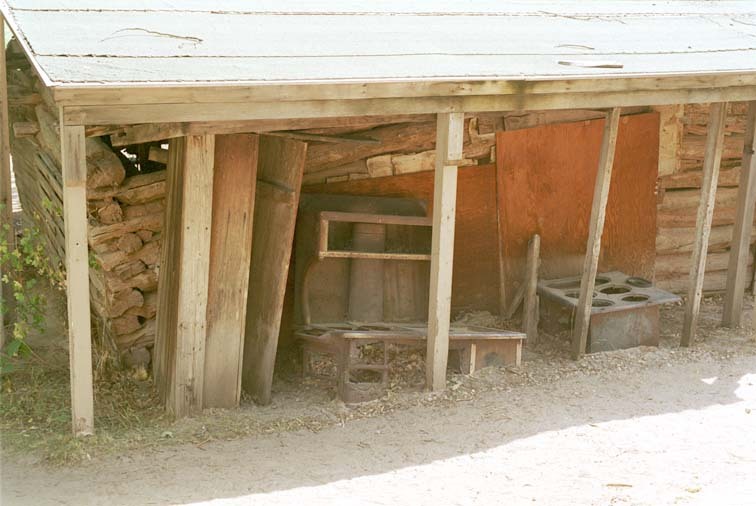 Some restoration of the cabin has been done, but other parts have fallen into disrepair since Josie died. There is a broken-down stove here - hardly something anyone could have cooked on in this state. 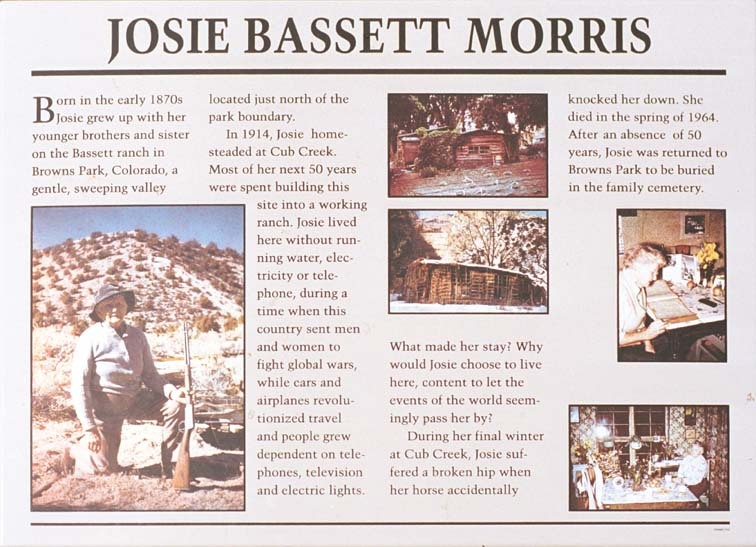 Google Search for "Josie Bassett Morris"